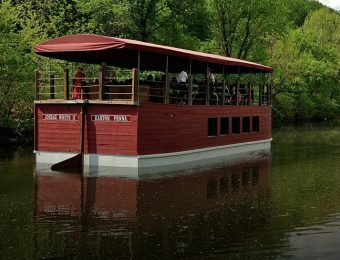 A 2.5-mile section of the 165-mile D&L Trail runs through Hugh Moore Park and right past the National Canal Museum and Josiah White II canal boat. 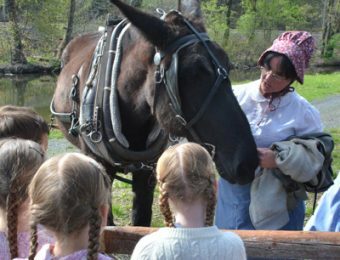 This portion of the trail is built on the old Lehigh Canal towpath, which opened to mule traffic in 1829. The towpath section in the park begins at the old Locktender’s House at Dam 8 and ends at the Abbott Street Lock – Lock 47 – on the canal. 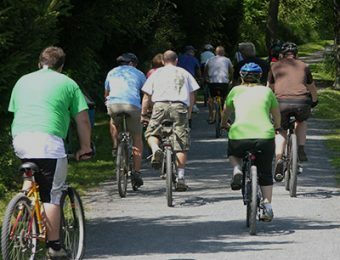 From there bicyclists, runners and walkers can continue into Easton and pick up the Delaware Canal, which can be traveled 60 miles south to Bristol in Lower Bucks County. Or, they can get off the trail and explore the city’s attractions and dine at a variety of restaurants. Another option is to get on the D&L Trail and head north to Bethlehem, Allentown and beyond. That section of the trail – part rail trail, part towpath trail – is accessed directly across Lehigh Drive from the old Glendon Bridge, the iron truss bridge that serves as the entry point into Hugh Moore Park. The D&L Trail offers a fine venue for recreation and health. It’s an alternative travel route for anyone who wants to “get away from it all.” Check out the interactive D&L Trail Map.